For 20 years, shoppers have been able to find local produce and artisan foods at the Downtown Farmers Market in Salt Lake City. Every Saturday through October 27, from 8 a.m. to 1 p.m., vendors from 18 Utah counties sell their food at Pioneer Park. The weekly event also features local artists and musicians. Jody Ellis grows her own produce, and has sold it at the farmers market for the last three years. She was a farmers market regular before she started vending. “It’s a great place to spend a Saturday morning, where you can hear music, see unique artistry, and get fresh produce,” Ellis says. 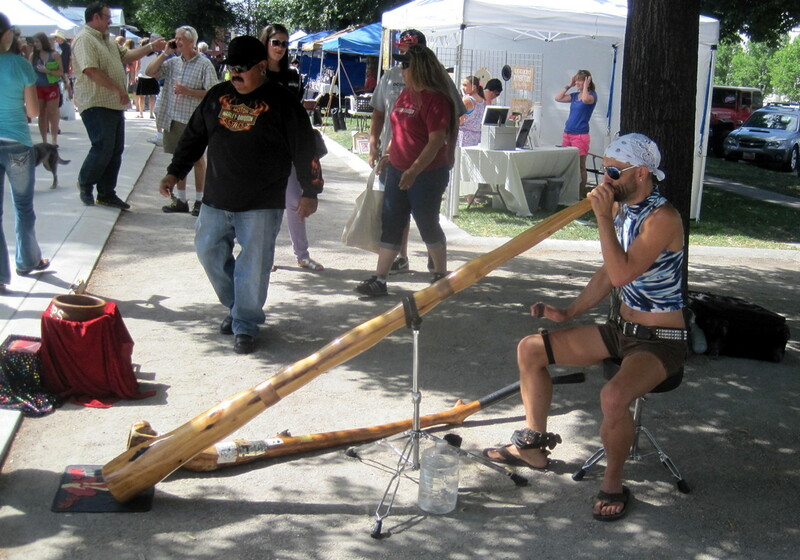 Busking performers at the farmers market play everything from hand-crafted didgeridoos, to drum sets made of buckets and pots. They often have a container for tips set out as they play their instruments for market patrons. This is the fifth year Flynn has been busking at the Downtown Farmers Market. 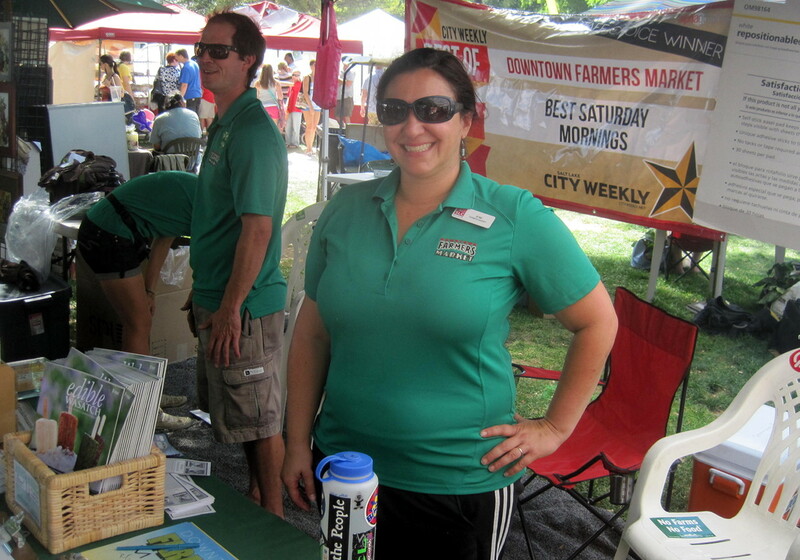 Flynn has been to many different farmers markets in cities across the country, including Santa Cruz, Lexington and Key West. Along with the main Saturday Downtown Farmers Market, Pioneer Park also hosts the smaller Harvest Market on Tuesdays from 4 p.m. until dusk. The Harvest Market is a simpler event, and focuses on produce vendors.